This morning, I was on my way to a landscape consultation for my fellow Arizona gardener, Claudette, who blogs over at Gilbert Garden Girls. As I always do before driving to an appointment, I entered the address into my car’s GPS and was pleased to see that it would only take 20 minutes to get to her house from mine. However, as I drove down her street, the addresses did not match up with hers. So, I took out my phone and brought up my trusty Google Maps app and found that my car’s formerly reliable GPS had misdirected me. Luckily, I was only 1 mile away and so I was only a couple of minutes late, which truth be told, is normal for me. My unanticipated detour did have a silver lining, though. I drove by a house that had a beautiful hop bush shrub (Dodonaea viscosa). 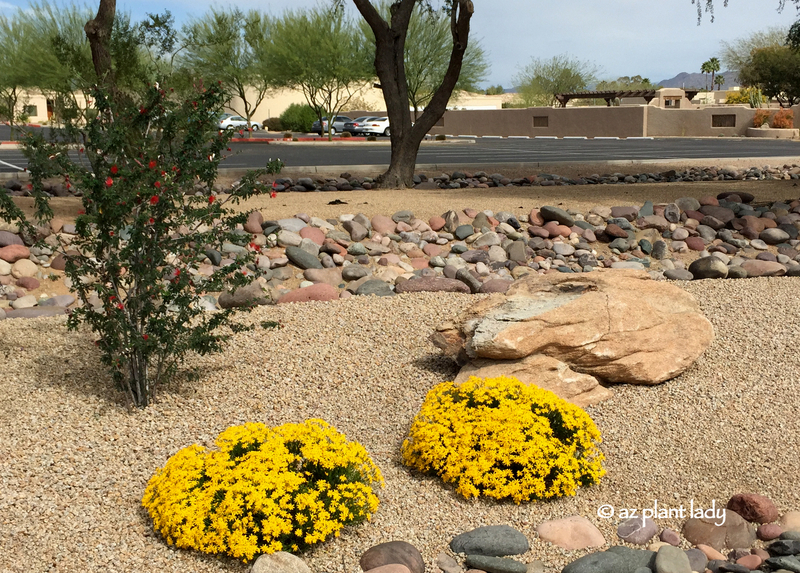 This evergreen, drought tolerant shrub does wonderfully in our southwestern climate, and it is a frequent addition to landscapes that I design. Hop bush is quite versatile and relatively fuss-free, especially if maintained by pruning every 6 months or so, as shown above. Here is another example of a hop bush shrub that has been pruned more formally, which it handles well. Of course, you can always let it grow into its more natural form as a large shrub. 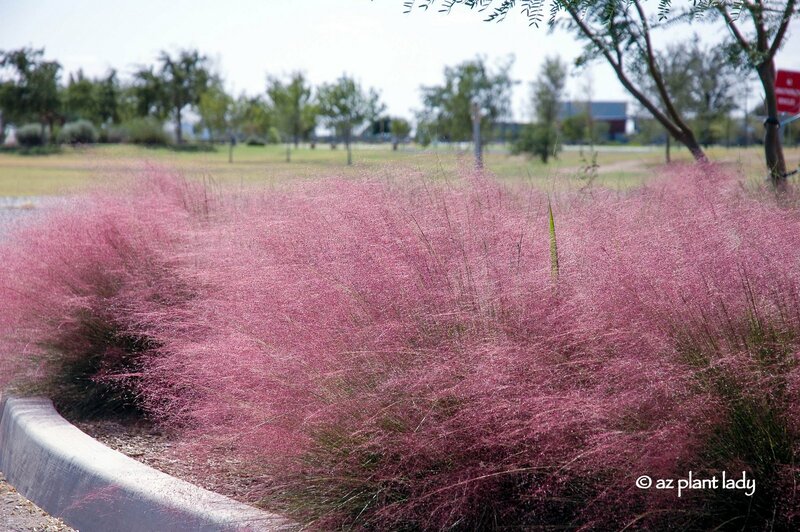 Have you ever seen this shrub where you live? How was it maintained? As a shrub, hedge or small tree? 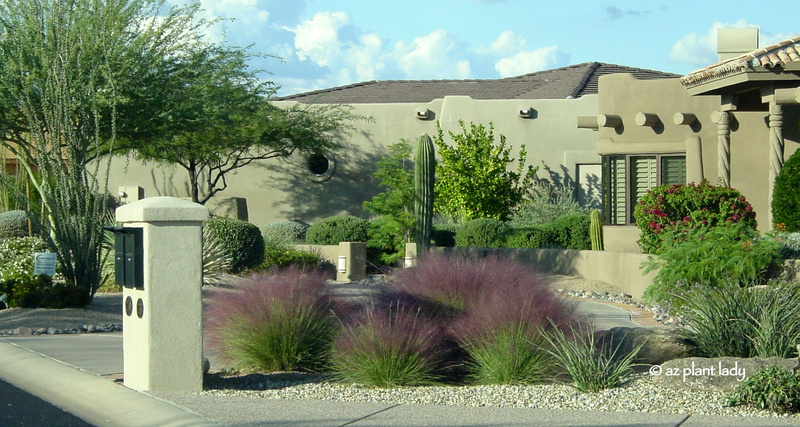 No matter where you live, you often see five types shrubs being used over and over in landscape after landscape. While the shrubs themselves may be attractive, their overuse throughout neighborhoods can create a somewhat ‘boring landscape’. In California, Nevada and Arizona oleanders have held a prominent spot in the landscape due to their lush evergreen foliage, ability to withstand drought and pretty flowers. However, they have been overused in many areas which makes their beauty less impactful and frankly, almost forgettable. “”When things are expected (in the landscape), they become less powerful and impactful”. 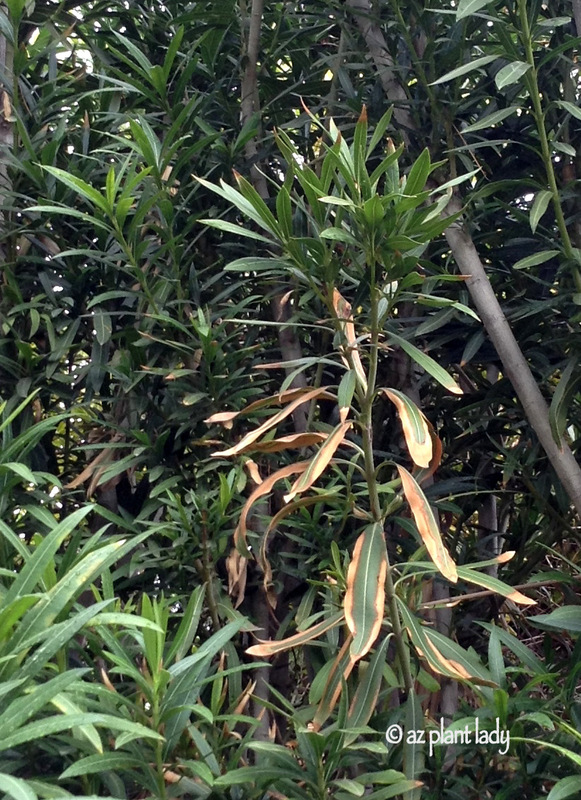 Another issue with oleanders is that they are susceptible to a fatal disease called, oleander leaf scorch that is slowly spreading from California. I have seen several cases affecting large, mature oleanders in the greater Phoenix area. From an objective point of view, I’d like to make it clear that there is a lot to like about oleanders; they do extremely well in hot, dry climates with minimal fuss, they have attractive dark green foliage and add color to the landscape when in flower. My main issue is with the overuse of them in the landscape when there less common plants that do equally as well in the landscape while also adding beauty. When I am asked for another option for the large, tall forms of oleanders, hop bush (Dodonaea viscosa) always comes to mind first. 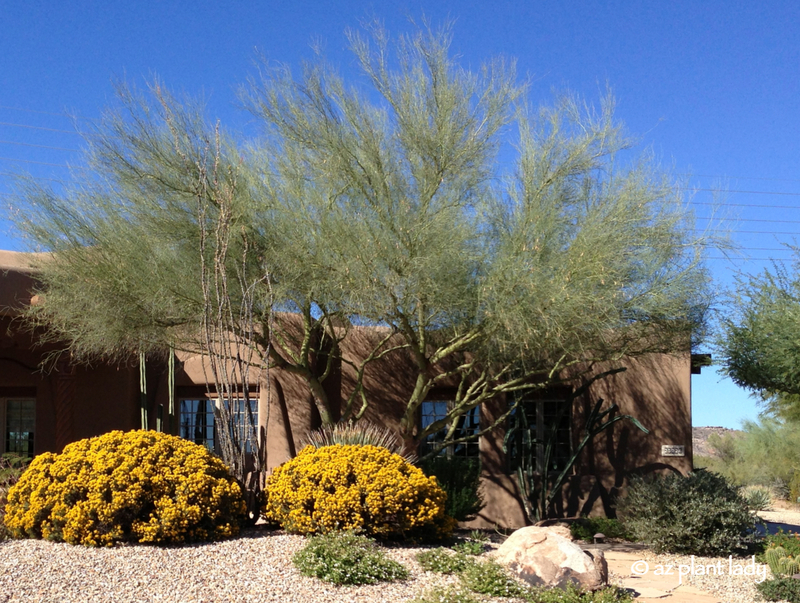 This native desert shrub has attractive, evergreen foliage and a similar growth habit to oleander. They can be used in the same ways that oleanders can in providing an attractive green hedge and/or screening. They don’t have colorful flowers; their bright green foliage is their strong point. Hop bush can be allowed to grow into their natural shape or pruned into a formal hedge. Want to learn more about this oleander alternative? 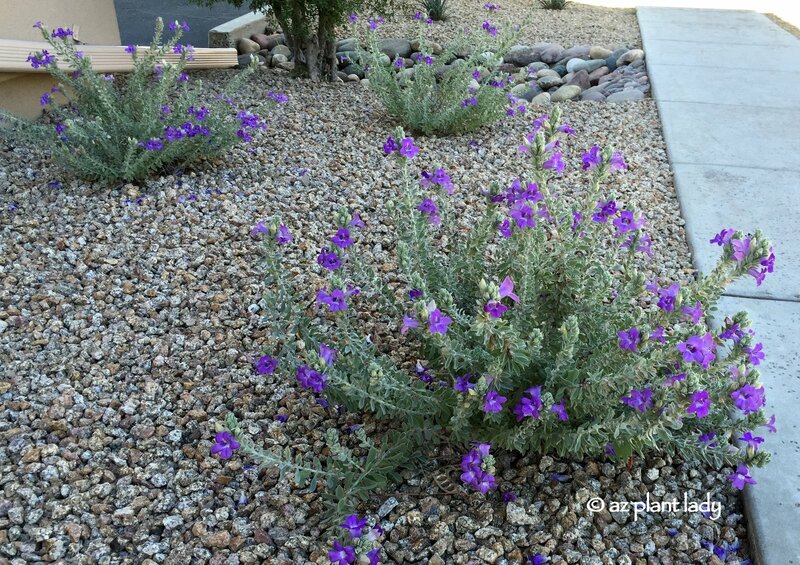 In my latest Houzz article, I share what types of plants look nice next to hop bush, how to care for them and show a purple-leafed form. I hope that you find a spot for this lovely shrub in your landscape. 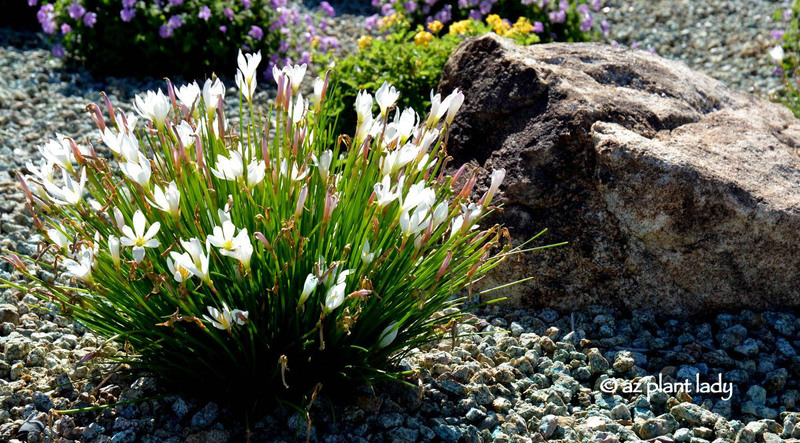 It may seem rather strange to think of landscapes decorated with lilies in fall, but summer and fall rain bring on the lovely blooms of rain lilies (Zephyranthes species). Rain or ‘zephyr’ lilies add beauty to the gardens throughout the Southern half of the U.S., including the Southwest. While their apperance may make you think that they are delicate and needs lots of coddling, nothing could be further from the truth. Like other types of lilies, they are grown from bulbs planted in fall and are surprisingly, moderately drought tolerant. 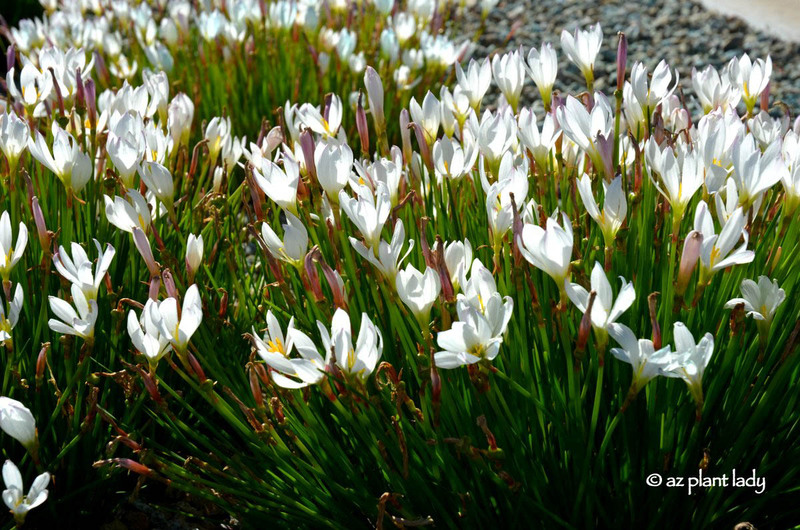 The white species (Zephyranthes candida) is my favorite and has evergreen foliage. There are other species and hybrids in colors such as pink and peach. Rain lilies deserve a greater presence in the landscape, given their delicate beauty that adds welcome interest to the fall garden. They are also easy to grow. For more information on this delightful plant, including the different species and how to plant and grow your own this fall, check out my latest plant profile for Houzz. 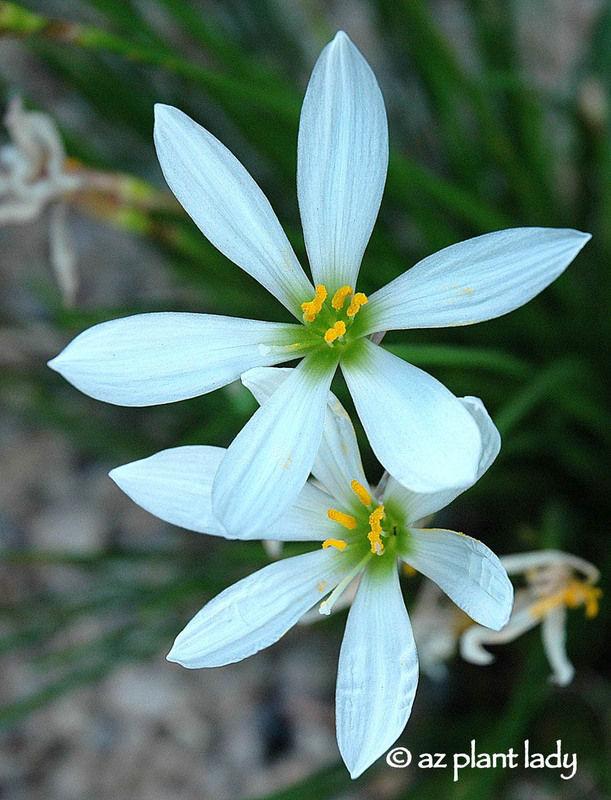 https://www.azplantlady.com/wp-content/uploads/2015/11/Rain_lily_Zephyranthes_candida-002-2.jpg 424 640 arizonaplantlady@gmail.com http://www.azplantlady.com/wp-content/uploads/2018/10/favicon.png arizonaplantlady@gmail.com2015-11-24 19:04:002016-10-26 14:35:27Lilies in the Fall Garden?